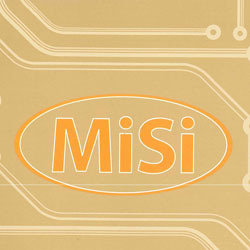 MiSi Electronics is a range of revolutionary pre-amps and pickups for retro fit into ukuleles, mandolins, violins and guitars. MiSi products are made in the USA and use energy efficient technology to produce a natural sound. The MiSi range is distributed in the UK by Stentor. No batteries are needed as just a 60 second charge gives 8 hours of battery-free playing! (Depending on the model). Mi-Si’s custom piezo linearization scheme allows for the most truthful and accurate sound from its pickups. The environmentally-friendly design also means that there is no hazardous battery waste. MiSi offers energy efficient technology that gives maximum playing time with the minimum charge.